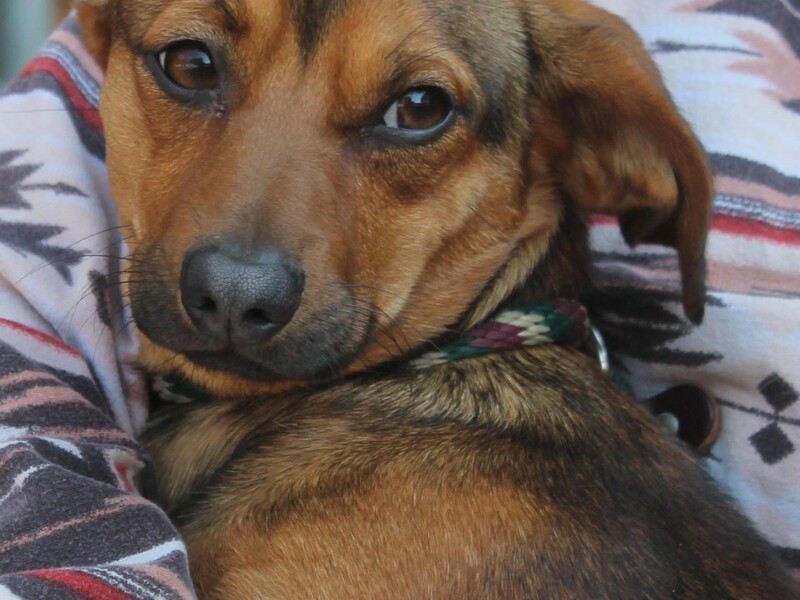 This sweet Dachshund mix needed emergency surgery in December. We rescued Cisco from the shelter a few weeks ago after being dumped by his owner and found him to be a kind but quiet boy. But he apparently had an underlying problem – bladder stones and a life-threatening major infection. When the stones caused a blockage, Cisco crashed and needed immediate medical attention. The staff at Monroe Animal Care Hospital took wonderful care of him – several days of IV fluids followed by surgery put him on the path to recovery. His care was excellent but costly (four figures). But seeing Cisco bouncy and happy for the first time makes the cost of medical treatment seem unimportant. We hope this wonderful boy soon finds a home where he can be pampered and spoiled for the rest of his life. To help with Cisco’s care, follow the donate button below, or use the Paypal button on our homepage.